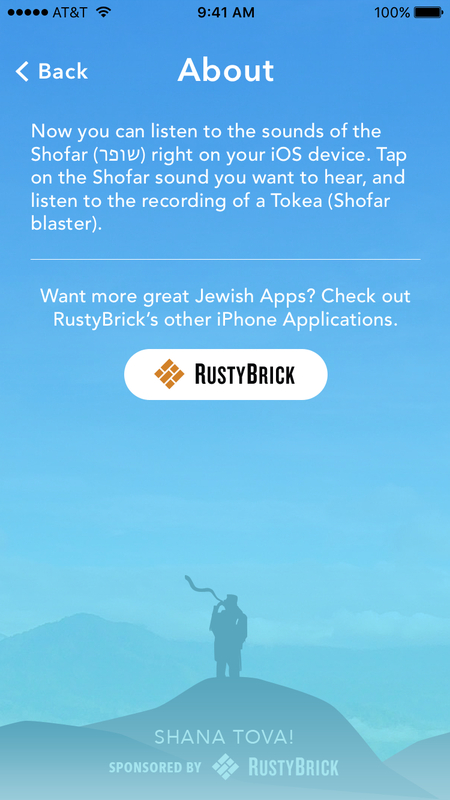 You can listen to the Shofar sounds right on your iPhone or Android Device with this application. Just click on the Shofar sound you want to hear, i.e. 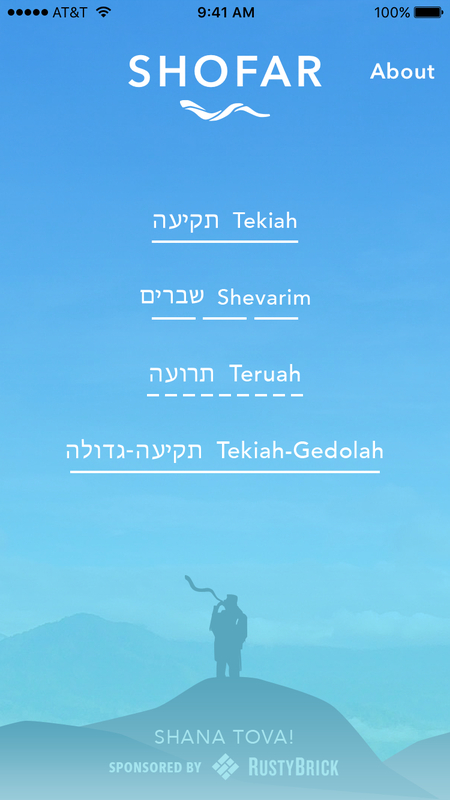 Tekiah, Shavarim, Teruah or Tekiah Gedolah and listen to a recording of a Tokea (Shofar blaster). IMPORTANT: To hear the sound, you must have vibrate off and make sure your volume is up while in the application. 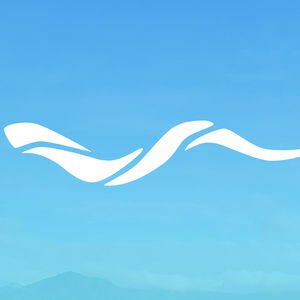 Please enjoy this little Jewish app, but please refrain from using it on the holiday. RustyBrick's present to you!